When fish are being farmed in open-ocean pens they may be susceptible to disease in the form of amoebic gill disease and sea-lice. In order to combat these conditions the fish are bathed in chemicals, such as hydrogen peroxide, or fresh water. When fresh water is used to bathe the fish this can lead to high costs and a high demand on a local fresh water supply. 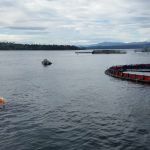 Using the CANFLEX Ocean Towable Bladders for transport and storage of the fresh water allows the farms to recycle the fresh water and have it stored in an enclosed environment as to prevent any salt water contamination saving the fish farms a considerable amount of revenue. 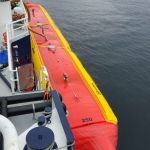 The CANFLEX Ocean Towable Bladders are extremely robust units and are easily capable of dealing with the harsh conditions that are present in open ocean environments. The bladders may be susceptible to these harsh conditions for very long durations of time at certain fish farms so there robust construction is a must. 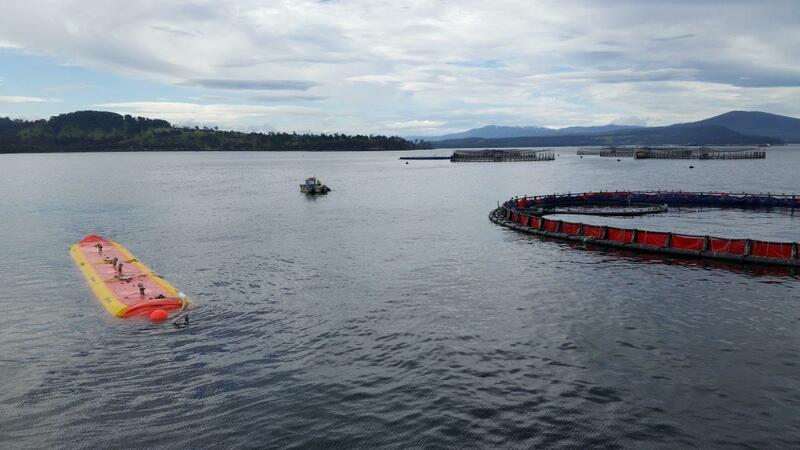 Fish Farms are very active work sites where operations can carry on 24 hours a day. The CANFLEX Ocean Towable Bladders are very capable of this type of constant use. Whether it be constant transport, storage or transfer of fluid (loading / offloading) these bladders are up to the task. Canflex has also designed very durable liners for fish pens at these farms. The liners are built to withstand abuse from long term use in these conditions. These liners can be removed from the pens for repairs or cleaning without constant worry of doing damage in the process. Canflex USA Inc. is a major U.S. 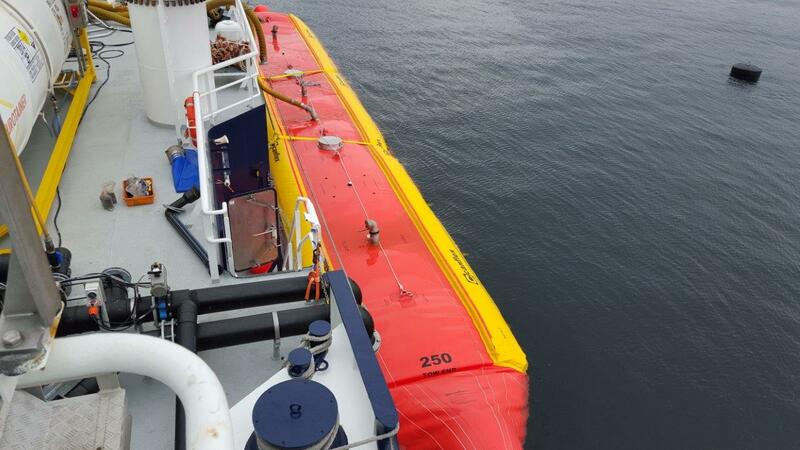 Manufacturer providing the market with environmental and oil spill response products since 1975. If you are involved in the Aquaculture Industry and looking for smart solutions, contact us!